A worker in the Points and Crossings Shed of London Underground's Lillie Road Depot assembles a section of new crossing. 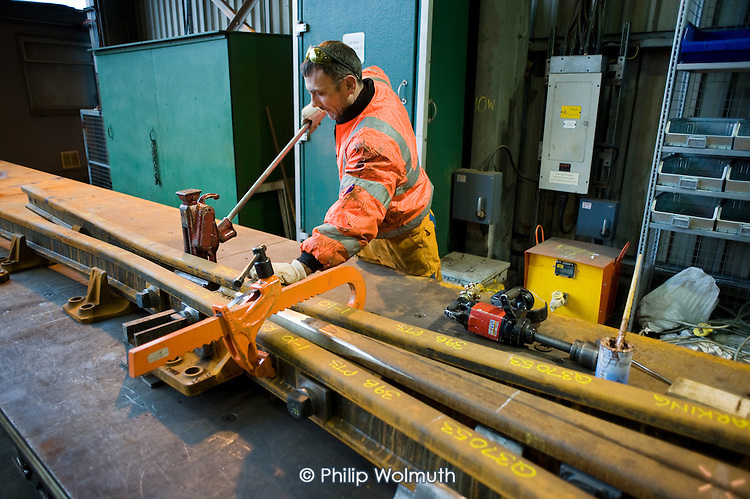 The depot produces replacement track for the tube network and offers a same day service for 'urgencies and emergencies'. The depot is now run by London Underground following the collapse of PPP contractor Metronet in 2007.